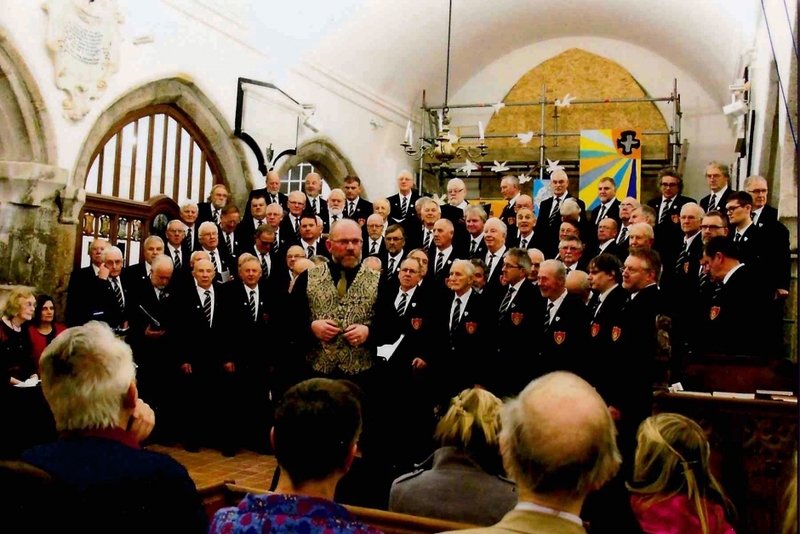 On Friday 22nd Mousehole MVC held their traditional Christmas concert in Paul parish church. 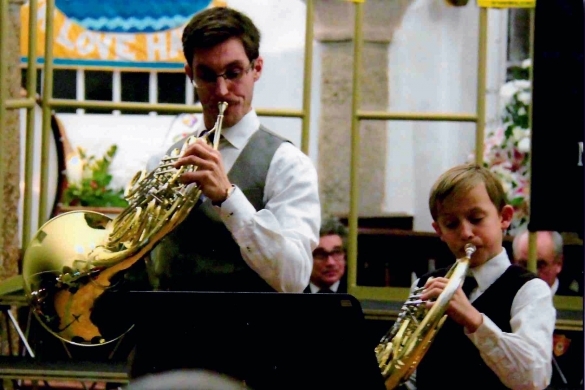 Over 350 people gathered not only to hear the choir sing but also to be entertained by Twin Harmony, as well as Steven and Fredrik James playing a duet on the French Horn. This was a family event as Steven’s father is Tim James, the choir secretary. Fredrik accompanied his father in 'Deck the Halls’, the Hunter's chorus and the Russian dance, ‘Trepak' from Tchaikovsky's Nutcracker suite. 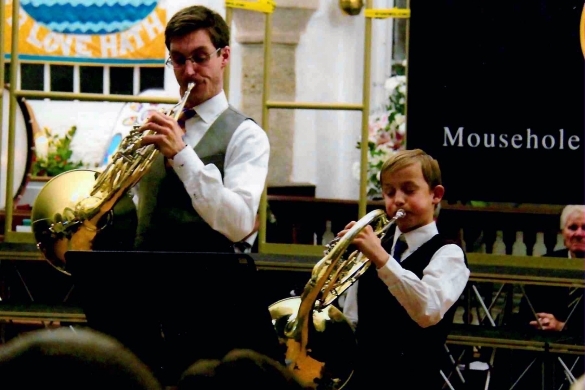 At the age of eleven, Fredrik is probably the youngest guest soloist to ever appear with the Choir! Part of Twin Harmony’s repertoire was the audience’s favourite carol, ‘O Holy Night’. The music was outstanding as everyone present would agree. The Blessing at the end was given by the choir president, Julyan Drew. This was followed by mince pies and mulled wine in the church hall which had been provided by the choir’s ladies committee. The annual Boxing Day sing at the Bath Inn proved to be a very enjoyable occasion and the choir would like to thank Paul Gooding at the Bath Inn for providing an excellent buffet. The choir would like to extend their thanks to everyone who made the concert and Boxing day festivities a success and would also like to wish everyone a very happy and healthy 2018.